I just finished Mass Effect 3, by a large margin, the most controversial gaming release of this year. I’m tired and stressed right now due to finals preparation, but here’s a bit of incoherent rambling on it. I might come back to edit or elaborate on this later, but here are my gut reactions. 1. The combat and gunplay were sublime. I typically don’t like the straight-up action-shooter gameplay of stuff like Gears of War and Uncharted and typically get freaked out by all the intensity, but the strategies that can come out of a good squad were enthralling. Character customization was a notch above the previous game and the branching skill trees made me consistently anticipate my next level-up. This joke will never get old. in its gunplay, but in its meaningful dialogue choices and high degree of ludonarrative dynamism. Seeing long swaths of auto-talk without any player input was jarring, seeing dialogue “trees” with only two binary choices was infuriating. In abandoning the focus on meaningful dialogue as a gameplay mechanic, the series has forgotten its essence, what made it Mass Effect. 3. This game was dark. There were a lot of sad, tear-jerking moments that I caused. Like when several characters sacrificed their lives to aid in the war effort against the Reapers and when I annihilated the entire Quarian race. The result was that I was emotionally enthralled for much of the game. 4. There was no real antagonist. Saren was great in Mass Effect, and Harbinger was wonderful in the second game. Because Mass Effect 2, especially in its DLC packs, spent a lot of time playing up Harbinger as the series’ primary antagonist. His total absence in 3 was bizarre. In his place: The Illusive Man. Who makes a very poor choice of antagonist as Cerberus represents a bit of a sideplot in the overall arc of Mass Effect 3. The player goes into the game expecting to fight against the Reapers, not Cerberus. Players want a palpable antagonist to overcome. The Illusive Man just came out of left field. 5. The backlash was kinda justified. Gamasutra published an article about the top 5 gaming controversies of 2012, and Mass Effect 3’s ending topped the list. It is for the abandonment of player choice as a central mechanic that I feel that longtime fans of the series have every right to feel betrayed by Bioware’s creative decisions. 6. What does the Extended Cut DLC mean for artistic integrity? Do consumers of art have some creative right to control the producers of the content that they consume? Do they have the right to demand a change to content that they don’t like? Is Bioware sacrificing its creative integrity by changing game-content due to fan backlash? 7. The game punishes you for playing your own way and goes against everything the RPG stands for. A central mechanic of Mass Effect is your “Effective Military Strength” score, which is increased by completing side missions and mining planets (through a repetitive and uninteresting minigame). From their tabletop roots, the central mechanic of role-playing games has been assuming the identity of your fictionalized character and playing the game your way. Mass Effect 3 cruelly mocks this tradition by punishing players who deviate from the game’s prescribed narrow narrative path. Choosing to skip the side-missions or ignore the mining minigame will result in you having a lower Effective Military Strength, leading you to a bad ending. While the game does indeed offer players an array of narrative and moral paths, it punishes those who take them. Choosing to limit player-freedom by tying role-playing to a numerical score is tasteless and stupid. 8. 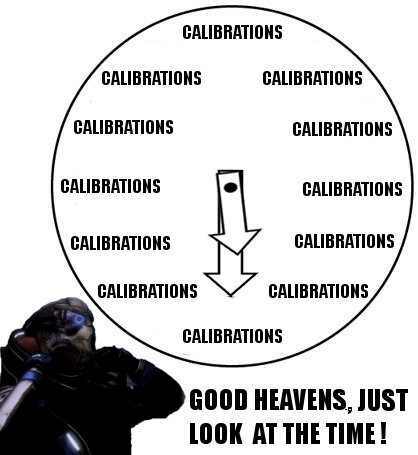 Garrus is the best around. This point needs no further elaboration. And thus ends my involvement with one of my favorite sci-fi universes of this console generation. Oh well, I guess I’ll just continue pining for a Firefly reboot or something like that. Maybe I’ll play The Walking Dead.